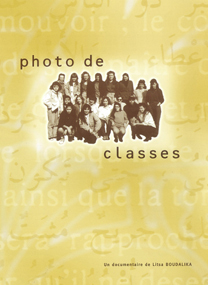 “Class portraits” tells a peculiar experience, the encounter of two classes of schoolgirls that everything keeps apart: origin, culture, religion, area, not to mention social class. The ones are uptown lycéennes, the others attend the secretary classes of a technical college in a popular area of Brussels. Meeting after meeting, the grow closer, prejudices make gradually way for interest and dialogue. An oriental tale, “The dove with the necklace”, colours this video-poem with the shades of solidarity.